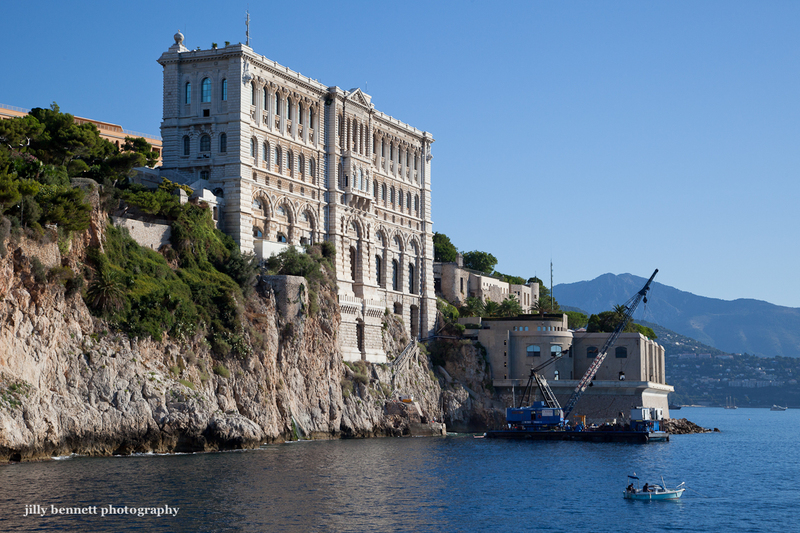 The Oceanographic Museum is a building I never tire of photographing. So beautiful the way it rises out of the rocks. There's some sort of work going on from the sea - a crane, perhaps a dredger? And note the large seagull sitting on the small boat, doubtless waiting for a fish. That is a beautiful building - amazing construction job! I have my own version of this photo in my office, sans the boat and bird. I absolutely love that building, always stopping by to look at it when I can. Stunning!